In an increasingly inter-connected world it is often useful to share content. The easier it is to share content the more likely a user is to to do it. At Trip we’ve got a really easy system to share our great results via email, Twitter and Facebook. Simply click on the ‘Share this’ button (top image) and then select which method you want to use (email, Twitter or Facebook). Will you make the information about the PubMed filters for your controlled trials available so we can get an idea how comprehensive your database is. Will you also compare your results with those listed in the central database of controlled trials in the cochrane library? The 4th, being so different from the first three seemed easy to ignore while the other three, all being within 10% was reassuring. So, I decided to go for number 3. Testing revealed some false positives but nothing too scary! With regard the second part of the comment, comparing the results with CENTRAL. I’d be delighted for someone else to, but we don’t have the resource or the knowledge to do so! 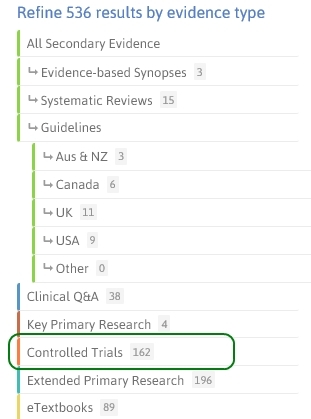 Today we released a new refine option in Trip, one for Controlled Trials (mainly RCTs). 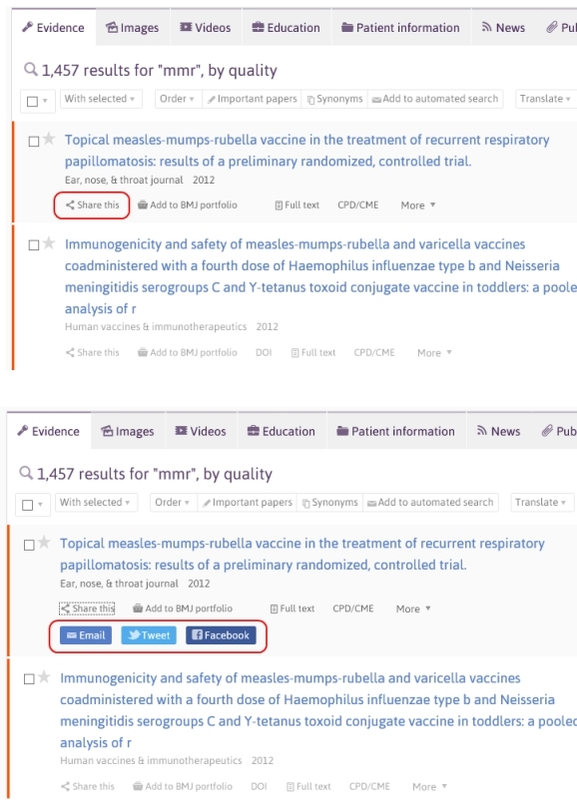 After help with filters from Julie Glanville we have grabbed trials from PubMed and Mendeley and this has resulted in approximately 500,000 trials being added to Trip (too see the filter used, click here). Give the nature of filters used to highlight controlled trials there is a compromise between sensitivity and specificity. Over the next few months we’ll work to improve the quality and also the quantity of trials. In testing, I’ve used the feature extensively and it’s worked really well. It really is a powerful addition to Trip. To use it yourself, simply go to Trip and search as you would normally and simply press the ‘Controlled Trials’ link/button in the refine area on the right hand side of the search results.